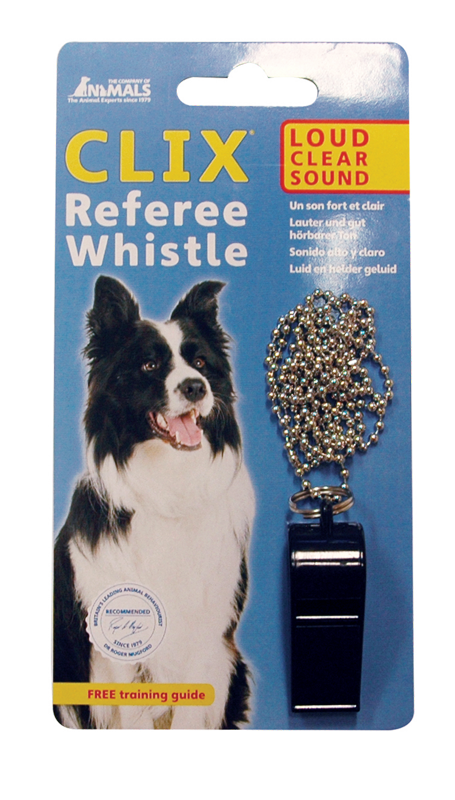 The CLIX Referee Whistle is the perfect all round training whistle. It has a loud, clear sound which makes it ideal for both recall training and distance control. For your convenience, the whistle comes complete with a metal lanyard which ensures the product is readily available and easy to keep on. There is also a comprehensive training guide included, to ensure you get the best results from the whistle.